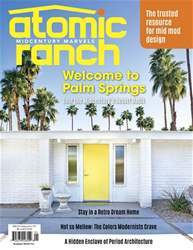 Palm Springs gave one couple a love for all things mod and helped them curate a dreamy time-capsule vacation home. 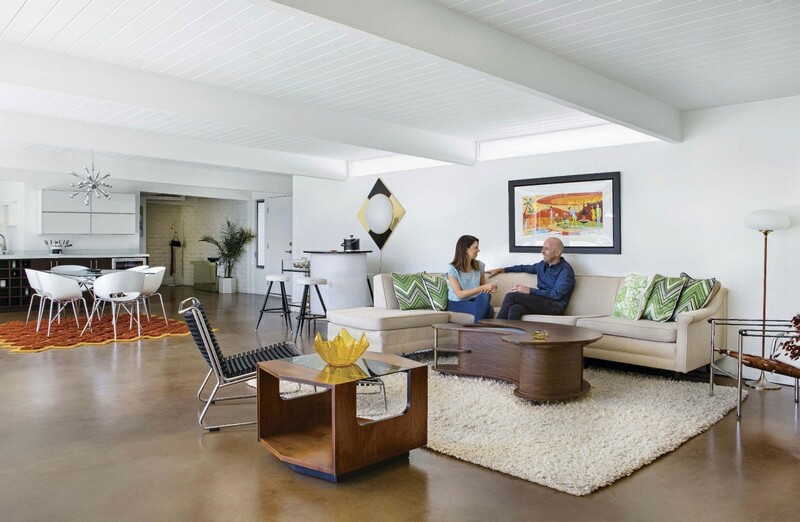 NEUTRAL TONES AND TIMELESS VINTAGE PIECES LIKE THE GRAND SERVER COFFEE TABLE MAKE THIS SPACE BOTH RELAXING AND CLASSY. 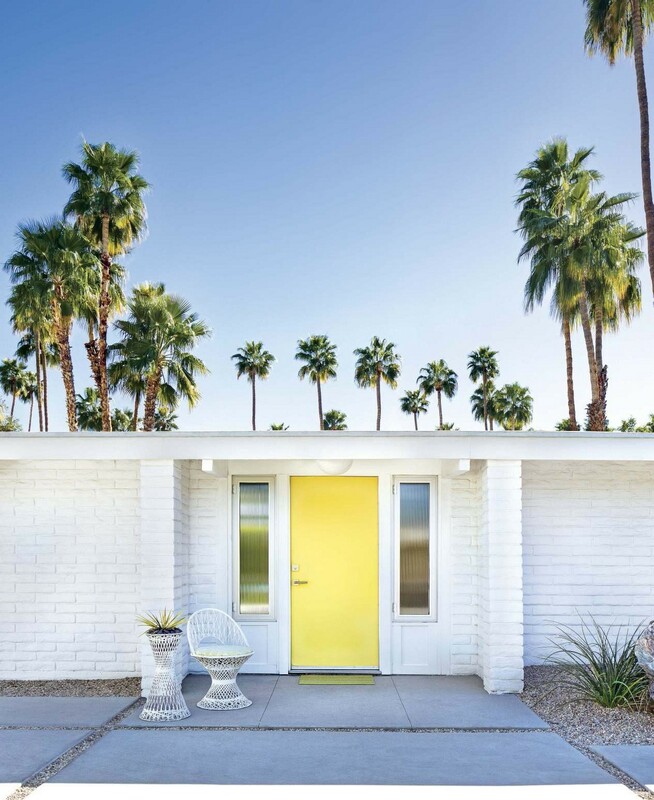 From the front exterior, this Palm Springs home looks rather unassuming. THE COUPLE REDID THE FRONT LANDSCAPING WITH MORE DESERT PLANTS AND SUCCULENTS TO MATCH THE SURROUNDING LANDSCAPE.